CARFAX 1-Owner, LOW MILES - 13,586! STI trim. Heated Leather Seats, Nav System, All Wheel Drive, Dual Zone A/C, Aluminum Wheels. SEE MORE!KEY FEATURES INCLUDELeather Seats, All Wheel Drive, Heated Driver Seat, Turbocharged, Aluminum Wheels, Dual Zone A/C, Heated Seats, Heated Leather Seats. Rear Spoiler, Remote Trunk Release, Steering Wheel Controls, Child Safety Locks, Heated Mirrors. OPTION PACKAGESNAV SYSTEM W/harman/kardon/KEYLESS ACCESS/BSD Keyless Access w/Push Button Start, Blind Spot Detection (BSD), rear cross traffic alert (RCTA) system, Radio: Subaru Starlink 7.0" Multimedia Nav System, AM/FM stereo HD Radio w/single-disc CD player w/MP3/WMA/CRR/RW file capability, Radio Broadcast Data System (RBDS), Bluetooth audio streaming connectivity, Bluetooth hands-free phone connectivity, Bluetooth hands-free text messaging connectivity, iPod control capability, iTunes tagging capability, rear-vision camera, SMS text messaging capability, SiriusXM All Access radio (subscription required), SiriusXM Traffic (subscription required), SiriusXM Travel Link (subscription required), dual USB ports, 3.5mm auxiliary input jack, harman/kardon 440 watt equivalent amplifier, harman/kardon 9. 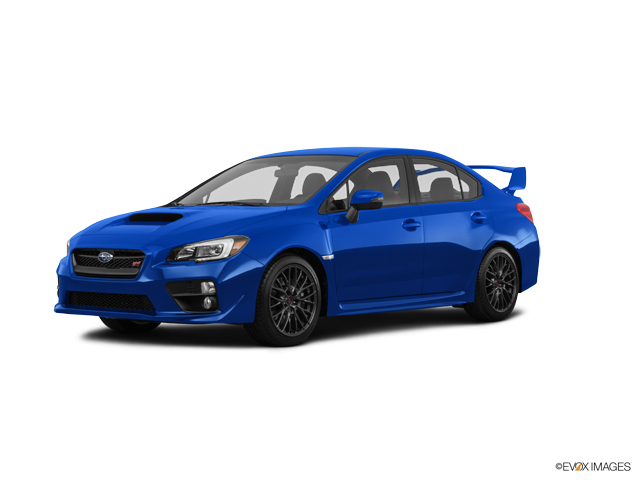 Subaru STI with WR Blue Pearl exterior and Black interior features a 4 Cylinder Engine with 305 HP at 6000 RPM*. EXPERTS ARE SAYINGEdmunds.com explains "As a driver's car, the driving position is spot on, as are the firm BUY WITH CONFIDENCECARFAX 1-Owner WHY BUY FROM USNorth Park Volkswagen of Dominion is located at 21315 West Interstate 10, just east of Friedrich Park. Volkswagen is widely recognized for quality, reliability, value, and an award-winning commitment to customer satisfaction. Our state of the art dealership has the largest VW inventory in Central Texas. Visit us at www.northparkvw.com to schedule an appointment with one of our VW Experts. Please confirm the accuracy of the included equipment by calling us prior to purchase.